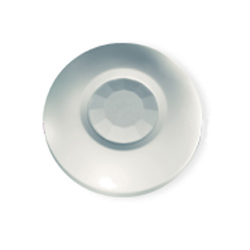 The Visonic DISC ET is a ceiling mount PIR motion detector for use in energy mangement systems. At only 8.6cm (3 3/8 inches) in diameter it's one of the world's smallest detectors of this type, allowing it to blend seemlessly in to any decor. When motion is sensed, the built-in relay is triggered and it will stay on until the user selected off time from 3 seconds to 20 minutes. This relay output can be used to trigger an energy management system for lighting, etc. 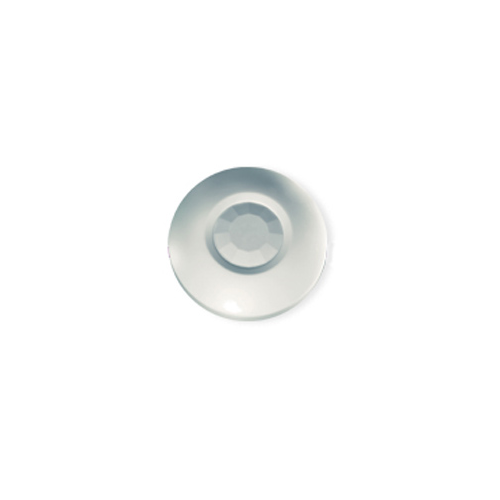 Exceptionally high sensitivity and 360 degree coverage pattern with up to 36 foot diameter floor coverage and maximum height of 3.6m (12 feet). Power supply 12VDC or AC. Relay output rated 1A Resistive 30VDC.